Shawn is a member of MyScorecard and is currently a student at the Keiser University College of Golf in Port Saint Lucie, FL. He’s undergone superb improvement in his game, dropping his index from a 19 to a 9 in just under 12 months. 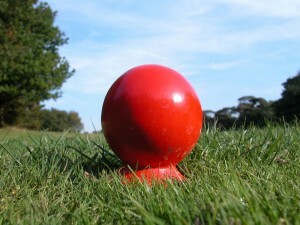 Below, posted from his blog Golf with Shawn, is one his lessons regarding his dramatic improvement. PGA Master Professional Dr. Wilson has stated at school several times for us to play the forward tees, “Shoot Par there, then move back”. You can read one of his articles on Facebook titled “Learning to Play, Learning to Score” . The first time I heard him say it, that is what I wanted to do. The hard part was getting the rest of my foursome to tee off with me. EVERYONE wants to play the tips and tournament tees. I had found it to be hard to be the only one to play around the middle tee ground. A lot of times the group would tee off then forget about me.